Around here, I've been doing a bit of spring cleaning. For me, that means clearing out all our closets (including the dreaded coat closet) and drawers for clothes that no longer fit. With two growing boys, ill-fitting clothes happen often around here. As I clear things out, I put them in a "holding area" which is a nice way of saying a spot in my basement. I do this, "just in case" we still want something. After an undisclosed amount of time, it's then much easier to part with things - especially toys and games - because they are out of sight. 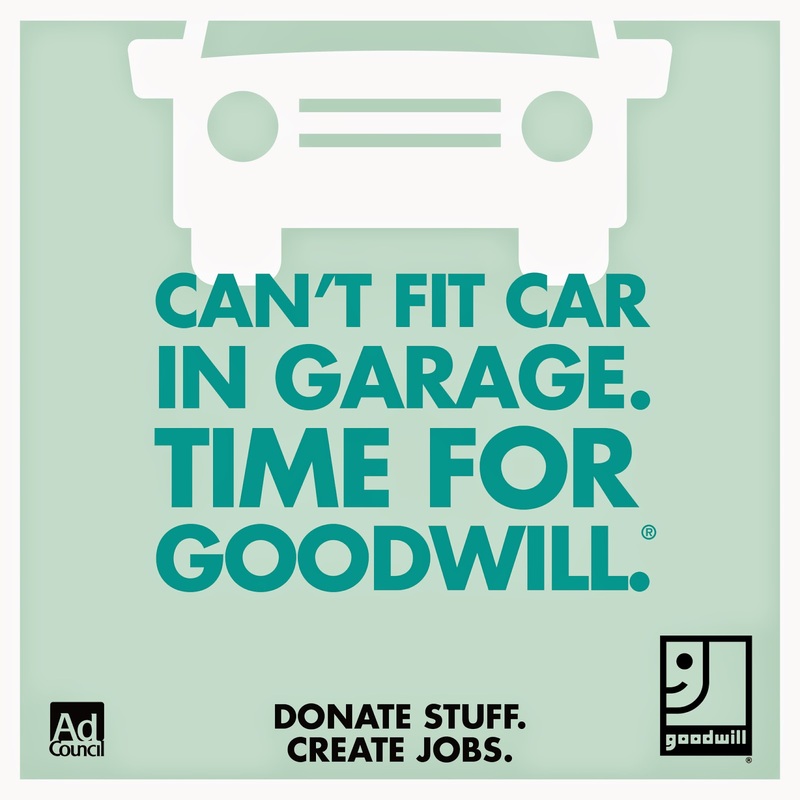 Typically, I call a local service that will come and pick up my donated clothing and household goods, but I recently learned that making a donation of my used clothing or household goods to Goodwill helps create jobs directly in my community. That's a total win-win! If you want to see what impact your donation can have, simply check out the Goodwill Donation Impact Calculator at http://www.goodwill.org (YES - it's THAT easy). Check out How to Clean Your Home AND Create Jobs by Goodwill Industries International on Snapguide. Do you spring clean the clutter form your home? What are some of your best motivators and tips?